Below you can view all the homes for sale in the East Atlanta subdivision located in Atlanta Georgia. Listings in East Atlanta are updated daily from data we receive from the Atlanta multiple listing service. To learn more about any of these homes or to receive custom notifications when a new property is listed for sale in East Atlanta, give us a call at 404-998-4097. All Of This Located In The Heart Of East Atlanta, Easy Marta Access, Only Minutes From I-20, East Atlanta Village And Only 10 Minutes To Downtown Atlanta! MLS#6539200. Bhgre Metro Brokers. A Truly Livable Space You Will Enjoy Calling Your New Home! MLS#6539040. Keller Williams Realty Atl Perimeter. Special Pricing Available When Buyer Purchases Both Lots. MLS#6538966. Keller Williams Realty Intown Atl. Special Pricing Available When Buyer Purchases Both Lots. MLS#6538968. Keller Williams Realty Intown Atl. All Tucked Away In Your Charming Mountain-Like Pad It'S Easy To Forget The Excitement Of Living In Beloved East Atlanta Village, One Of The Most Dynamic & Happenin' Of Intown Atl N'Hoods. Welcome Home, Friend! MLS#6538083. Keller Knapp, Inc.. Moments From Shopping And Dining In East Atlanta Village! MLS#6536959. Keller Knapp, Inc..
Backyard Retreat Features A Fenced Oasis W/ Large Deck & Patio! MLS#6536700. Atlanta Fine Homes Sothebys International. 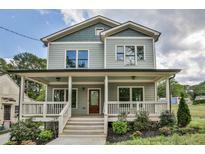 Walk To Eav Shops, Restaurants, Bars, Pet Store, And Vet Care. MLS#6536282. Keller Wms Re Atl Midtown. Daylight Basement With Two Exterior Entrances Which Has A Bar, Full Bath And Ample Living/Workshop/Storage Space. MLS#6535232. Keller Williams Rlty-Ptree Rd. Walk Out Your Front Door To Restaurants, Entertainment And More. Call Today For Appointment. MLS#6534901. Ansley Developer Services, Llc. Minutes From Everywhere You Want To Be, This Is The One! MLS#6535064. Compass. * This House Is Amazing And You Will Want It To Be Yours! MLS#6534654. Keller Wms Re Atl Midtown. Home Offers, Updated Kitchen And Bathrooms, New Light Fixtures, Large Walk-In Master Closet, Attic Storage, Tankless Water Heater, Newer Roof, And Much More. Make An Appointment Today! MLS#6534079. Keller Williams Realty Atl Part. Easy Access To I-20, Downtown Atlanta, The Zoo, Kirkwood & Decatur! MLS#6532821. Beacham And Company Realtors. Granite, Hardwoods, Built-Ins & More. Don'T Miss This One! 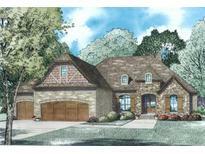 MLS#6532949. Origins Real Estate. Grab This One While You Can! MLS#6532750. Origins Real Estate. Walking Distance To East Atlanta Village MLS#6532307. Re/Max Metro Atlanta Cityside. Fenced Yard For Entertaining With Private Storage Shed, Thermo Windows, Concrete Siding-Minutes From East Atlanta Village, Midtown, Downtown, & Kirkwood. MLS#6531330. Maximum One Realty Greater Atl..
An Enclave With Scores Of Newer Homes Can Be Found Across The Street Which Helps Support The Increasing Values East Atlanta Has Enjoyed For Years. Bring Offers! MLS#6531030. Keller Williams Realty Metro Atl. Walk To Eav For Breakfast, Lunch And Dinner! MLS#6530837. Citihomes Realty Cor.